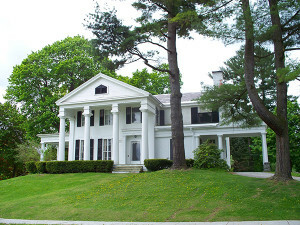 Tackling the renovation of a historic home can be overwhelming. Put your clients on track for a successful project with this helpful list of dos and don’ts. Nothing is more self-affirming than taking on a historic preservation project. Not only does this complement the architectural splendor of a city, but there are many benefits to the home owner as well. These projects can make one feel young and invigorated, and there is the added bonus of creating value and forced savings for the home. As a real estate practitioner, you may need to explain these benefits to a client who is considering purchasing a historic home, and after the sale, you may need to guide the home owner through the process of renovation. Having personally overseen a number of residential and commercial projects in the Greater New Orleans area, I have some practical advice to offer your clients to ensure they stay on track. The first thing to do is get comfortable with the scope of the project, looking carefully at the structure of the house to see what needs to be done. The client must have a clear idea of how much it will cost to get to the level of finish that they are expecting. People often get carried away with their renovations, and their desire to recreate Versailles collides head-on with their more modest budget. Be realistic with expectations. For example, your client may want vaulted cathedral ceilings in the master bedroom, but if that means moving the entire air duct system for an additional cost of $10,000, perhaps that money may be better spent elsewhere. Home owners need to find an architect with the right experience for the project they are undertaking. Ask friends who have done projects that they like, or ask neighborhood organizations­­ — such as the Vieux Carré Commission in New Orleans — for recommendations on potential architects. Suggest to your clients that they interview one or two architects ahead of time to ensure they’ll have the right team in place. The architect will work closely with your clients throughout the project, so it must be someone they can communicate with and be heard. Once the architect, plan, and price are all in order, then work can begin with a good, quality contractor. It’s best to purchase as many locally produced or locally stocked materials as possible. Not only does this support the community’s economy, it also may keep delays down due to materials being close by. I recommend narrowing down clients’ choices to three of each item — for example, three cabinet knobs or three shades of white for the living room walls — to keep things more manageable. On a renovation project, time is either your best friend or your worst enemy. Make sure your clients involve close family or loved ones in the decision making process. A renovation project can be stressful at times and can make or break a relationship. Remind clients to keep an open dialogue with their partners. Speaking from personal experience, my wife got the final veto on any renovation decision! Don’t stop the project mid-process if it can be avoided. Whenever activity is halted, you are not only delaying the time to completion but also substantially increasing the cost. Only consider this if there is a very compelling reason, such as a contractor who is lying or stealing. Don’t stay with a person who can’t be trusted. It’s important not to overburden the contractor with questions while he or she is on the job. Every time the contractor is pulled away from the project, it may take this person a couple of hours to get away and a few hours more to get back to where he or she left off. Keeping questions to a minimum until he or she is off the clock or off the job will help to keep the project on track. Not working with the historic landmarks commission in your city can be a huge pitfall. They can help to ensure the client has the appropriate permits and is working within the required guidelines. Think about how disappointed the home owner will be if they find out later that they can’t have what they want because it is not historically correct — for example, wanting aluminum siding in lieu of weatherboards, only to find out that it isn’t allowed, when they could have gone with a good slate look-alike which is doable, easier, and less expensive to install than slate. The biggest “don’t” of all is to not make a clear budget or plan for cost overruns. Even with the most detailed of budgets, projects do often run 25 to 50 percent over budget, so it’s important to have these funds available if needed. By taking on a historic renovation, your client can help a neighborhood turn itself around. These projects will bring life back to a community and reveal the promise that is buried within those old treasures. Helping your client with a historic renovation will go a long way in building a strong and trusting relationship over the long term. In the event that they’re looking for a new home or second home, or the next time they have a friend in the market for a new home, chances are good that they’ll recommend you for the job.